Just like wine, Madonna gets better and better as time goes by. Madonna has been an icon of the last two to three decades and even the contemporary artists couldn't beat her off the stage. Many tried to follow on her steps to fame, the likes of which include Lady Gaga and , I dare say, Britney Spears, but they couldn't even topple her. She has stood the test of time that it is only proper I give you the list of albums that made her the Queen of Pop. Aside from the fact that this album was well-received by critics and audience alike, this album has garnered five Grammy nominations all because of the album's musical freedom and creativity, not to mention Madonna's highly esteemed collaboration with Mirwais. This mixture of electronic and dance-pop music evetually won its well earned Grammy "Best Recording Package." Released last September 19, 2000, it became a certified behemoth after it debuted number one on more than 20 countries, easily sold more than four million copies on its first ten days and was eventually included on Rolling Stone magazine 500 Greatest album of all Time. This contagious concoction of pop, electronica, rock and dance-pop music was released last April 22, 2003. Until then it has debuted at number one spot on many countries including United Kingdom and United States. Although it received a little number of Grammy nominations compared to Music (only two nominations) this did not stop it from gaining its certified Platinum sales recognition. Despite its lukewarm welcome from critics, this albums still surged to the mainstream after four singles were released that gained her more general audience. 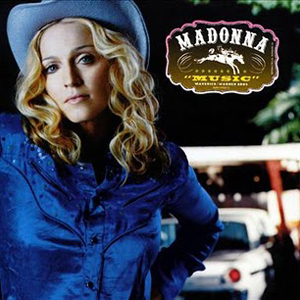 This is Madonna's second album to be labelled with "Parental Advisory," the first of which was Erotica (1992). Influenced by 70s and 80s disco, as well as modern-day club music, this album is completely different from her previous albums. 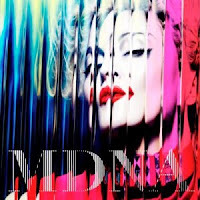 This is also the album where she severed collaboration with Mirwais Ahmadzaï after they recorded two of the twleve official tracks of the album, for she felt the team up is not working well anymore. Many critics praised the album for its contemporary appeal that lead to her winning of Grammy's "Best Dance/Electronic Album" in 2007 and "International Female Solo Artist" at the 2006 BRIT Awards. The album was at its peak when it gained top spot on 40 countries world wide, giving it a 2007 Guinness Book of World Records recognition as the album topping the chrts in most number of countries. 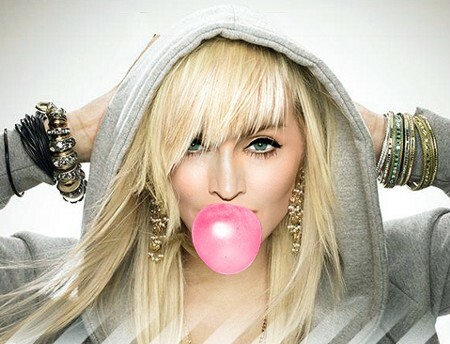 Hard Candy was Madonna's first (and maybe last) collaboration with Justin Timberlake, and this is also her last album with Warner Bros. Records. This autobiographical album gained her favorable response from critics. Released on April 28, 2008, it has then topped the charts of 37 countries and sold more than four million copies worldwide. 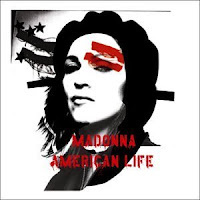 Even this album was not well received as her Confessions album this does not stop the album from raking the charts in the United States, Australia, Canada and the United Kingdom. The album has gained a score of 65/100 on Metacritic over the years and her move of changing studios and collaborating with a new artist finally paid off. Just recently released album was her first album released by Interscope Records and not by Warner Bros. records. Released on march 23, 2012, the album has received generally positive reviews from critics. Similar Hard Candy the album has received an average of 65/100 ratings on Metacritics. Still hard on sales, the album debuted top spot in the United Kingdom (her twelfth album to have received such charts in UK), passing Elvis Presley's record chart for a solo artist with most top charts albums in United Kingdom. So far out of its one month release over the iTunes it has topped the charts in more than 50 countries and it is also said that the album was so far the biggest one day pre-order of any album in iTumes history. Now top that! You may notice that the albums in the list are the exact last five albums Madonna has released. It is simply because one is prejudiced to music released during his or her generation. What better music appeals to you the most, but the music especially tailored for your generation, right?